The release date of Neeraj Pandey's thriller Aiyaary has been shifted to 9 February as Sanjay Leela Bhansali's historical drama Padmavat is releasing on 25 January, along with R Balki's Padman. So the makers are now quite busy with the promotional campaigns. Sidharth Malhotra, Manoj Bajpayee and Rakul Preet Singh already appeared on Bigg Boss 11 last week. Now, DNA reports there is a unique promotional campaign on the cards for this espionage thriller based on corruption in the Indian Army. On 13 January, the team, including Sidharth Malhotra, Manoj Bajpayee, Rakul Preet Singh, Pooja Chopra and director Neeraj Pandey, will be celebrating Lohri with the BSF jawans. The same report states that the BSF camp in Jaisalmer had actually invited the team of Aiyaary to commemorate Republic Day with them. But the makers have decided to stay at the camp for two days and celebrate Lohri instead. The film will see Sidharth Malhotra as an army officer sharing a mentor-protégé bond with Bajpaye and is inspired by a real-life incident that follows the life of two strong-minded army officers having completely different views and are yet right in their own ways. 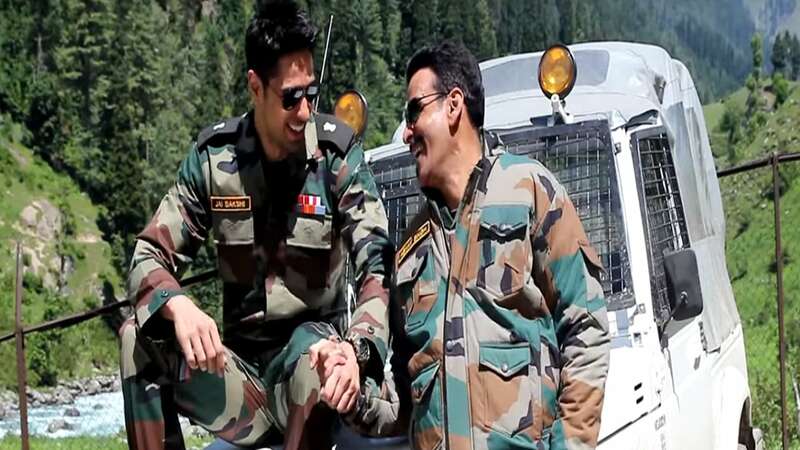 There will also be some surprise for the jawans as the Aiyaary team is overwhelmed by the hearty response from the Indian Army since the trailer of the film released. The DNA report states that the team will train with the BSF soldiers, understand their routine and what they do on a daily basis. They are excited about the whole exercise. There will also be a special musical night planned for the jawans. The Sidharth Malhotra-starrer was earlier scheduled to release on 26 January, the Republic Day. But now, Aiyaary has managed to avert clash with the much-hyped Padmavat. It will still rather go head to head with Luv Ranjan's romantic comedy Sonu Ke Titu Ki Sweety, which will also hit the screens on 9 February. As for the Republic Day weekend, it is Padmavat versus Akshay Kumar-starrer Padman now.